Globetrotting. The Ma’Ati is a Graphic Novel and Travel Magazine Hybrid. 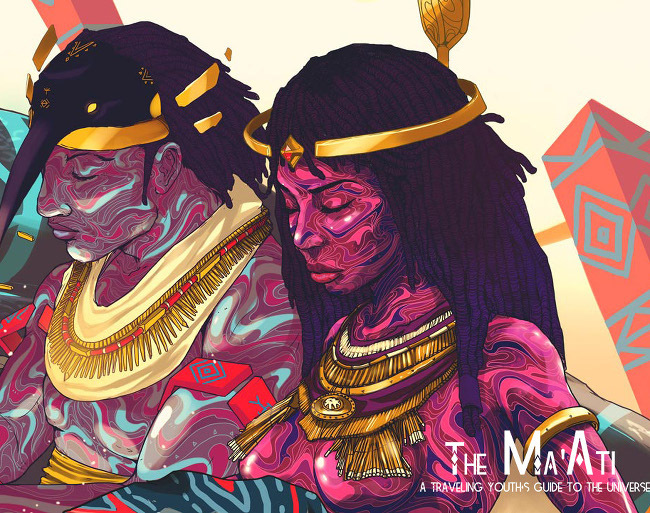 Created by editor Shamira Muhammad, the Ma’Ati Magazine is a graphic novel and travel magazine hybrid that draws inspiration from Muhammad’s own world travels. The novel, which features beautiful original illustrations from Jamaican artists Taj Francis and Paul Davey are, tells the story of a young American girl name Shamira. Shamira decides to embark on a series of world-travels to uncover her roots while in the midst of quarter-life crisis. Every month, a new chapter of The Ma’Ati will premiere on the publication’s website. Web design and development for The Ma’Ati were provided by WETU, a Zimbabwean art collective. The first six chapters of the novel, have taken place in Jamaica, Cuba, D.C., Alabama, New Orleans and Harlem, all actual travel destinations for the editor. Muhammad recently penned an essay for AfroPunk, where she explained what motivated her to launch the Ma’Ati. I created the Ma’Ati after several frustrating years of looking for a travel magazine that spoke to the type of explorer that I am. It is hard to find good, travel content that appeals to a young, Black, artsy, urban, ancient, trippy, fantasy loving biker-girl. Having traveled to over ten countries around the world, and living in places like Ghana, France and Egypt, travel and adventure became the ultimate mode of creative expression for me. It made me a better writer and cleverer when it came to critical-thinking, networking, budgeting and living for the moment. Why did I make myself into a character? Because I know everyone can’t afford to travel, for both monetary and personal reasons. So what better way to bring the world to everyone on the internet than through a story? The project is currently in need of additional funds to cover the costs associated with collaborating with different artists and producing original artwork. Support the Ma’Ati via the publication’s Kickstarter page. 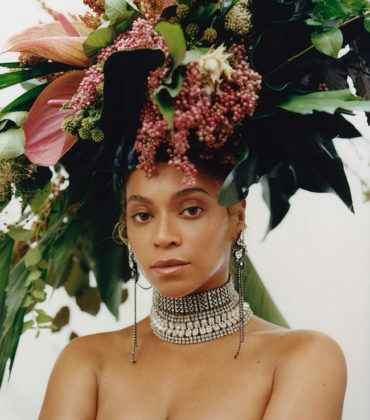 Beyoncé Covers Vogue’s September 2018 Issue. 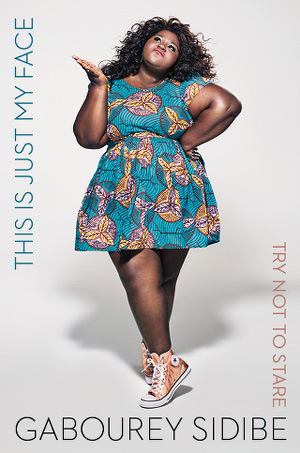 Images by Tyler Mitchell. 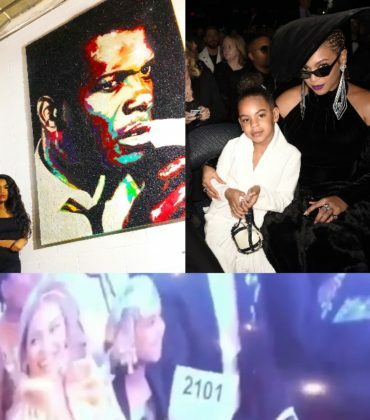 Affordable Art. 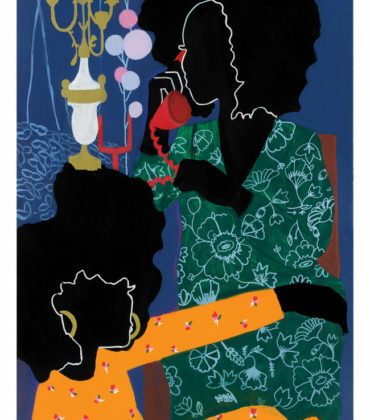 The Latest Works From Jamilla Okubo. Images. Segregation Story. 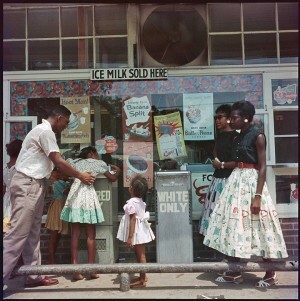 by Gordon Parks. 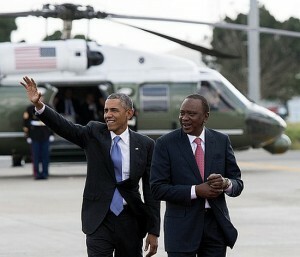 President Obama Dances and Talks Women’s Rights, LGBTQ Rights, Anti-terrorism, and Technology during East Africa Trip. 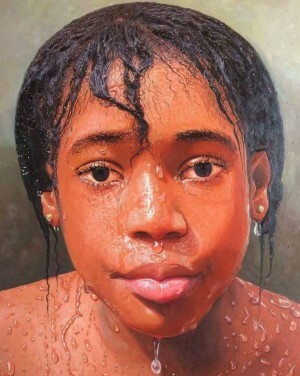 Nigerian Painter Oresegun Olumide’s Hyperrealistic Works Go Viral. Upcoming Armory Show Sets ‘Focus’ on African Art. 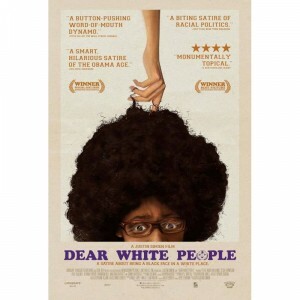 New Poster For “Dear White People” Nails It.